SOS Children's Villages of India is a non-governmental and social development organization that reaches out to and advocates the concerns, rights and needs of parentless or abandoned children and children at the risk of losing parental care. The first SOS Children's Village was founded by Dr. Hermann Gmeiner in 1949 in Imst, Austria and over the years, the organization grew to be able to reach out to hundreds of thousands of children across 133 countries in the world. 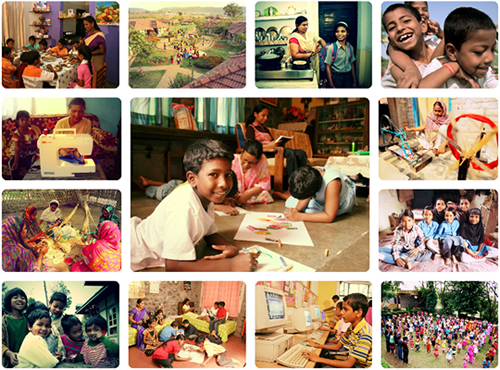 In India, the organization caters to over 23,000 children and there are 33 SOS Children's Villages in 21 states of India. 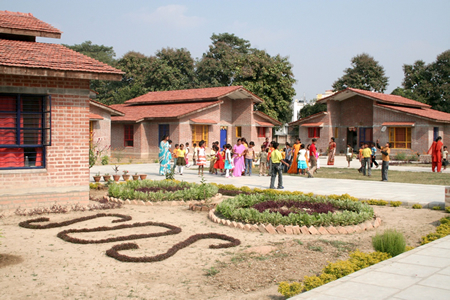 The first children's village was set up in Greenfields, Haryana in 1964 and since then the organization has settled over three generations of SOS children who were once rendered parentless or were abandoned. With the Companies Act 2013 having recently received the Presidential assent in August 2013, the need to be reposing faith in an organization that is creating the change it wishes to see by working on the ground for the last five decades becomes more imperative than important. SOS has not only lived up to its expectations of providing a loving home for every orphaned or abandoned child but has built strong, supportive relationships between every child and his SOS family and helped them develop resilience and confidence to face life's challenges. Though the first phase of the implementation of the Companies Act has commenced with 98 out of the 470 sections being put into action, one of the most crucial clauses, clause number 135 or the 'CSR clause' as it is coming to be known as, focusses on the targeted companies to spend on government delineated categories of CSR, as mentioned in Schedule VII of the companies bill. Some of these categories include eradicating extreme poverty and hunger, promotion of education, empowering women and promoting gender equality, employment enhancing vocational skills, and combating HIV, AIDS, Malaria and other diseases, and improving maternal health and reducing child mortality and so on. For the last 49 years and counting, SOS, through two of its programmes, namely the Family Based Care (FBC), a curative programme that reaches out to over 6600 girls and boys in 33 Children's Villages across India and the Family Strengthening Programme (FSP), a preventive community intervention programme aimed at preventing the abandonment of children in close vicinity of the village, has been providing a one of its kind long-term and sustained support to the children it caters to. While the Family Based Care (FBC) programme through the Children's Villages consisting of SOS family homes with an SOS mother and brothers and sisters primarily covers aspects such as Education, Preventive and Curative Health & Nutrition, Psychological support, Care and Holistic Development of a once orphaned child, the preventive community intervention programme, the Family Strengthening Programme (FSP), covers children of the most vulnerable lot i.e. children of widows, single women, and Below Poverty Line (BPL) families. Spanning 3 to 5 years, the program aims to enable families to move out of the vicious cycle of poverty towards greater dignity and self-reliance by ensuring education of children and income generating capacity development of the care givers. SOS Children's Villages of India is also one of the very few International NGOs that have been empaneled with and/or accredited by the National CSR Hub, Tata Institute of Social Sciences, the GuideStar, Give India, and the Credibility Alliance. For you, the money that you would invest in the lives of once parentless and abandoned children, will not only give them a second opportunity to grow in a caring environment, but also enable you to positively impact the communities where you work. For SOS, your donating is equal to loving a child. We urge you to come forward and contribute! Visit www.soschildrensvillages.in for more information.